A selection of novelty themed dog breed ties with various dog breed motifs. 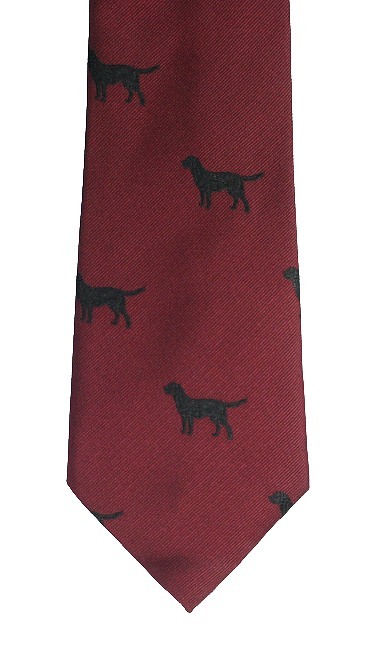 Our dog neckties include Labrador ties, Lurcher dog ties and other dog theme ties. Each dog necktie has stitched motif detail. We are pleased to be able to say that these dog motif neckties are completely manufactured within the United Kingdom from weaving the material at the mill to sewing the material to make up the tie. 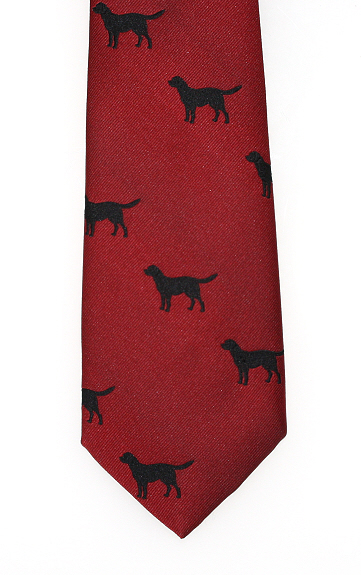 A Labrador dog tie with embroidered Labradors in standing pose on plain necktie. This theme is available in five colours including black Lab. 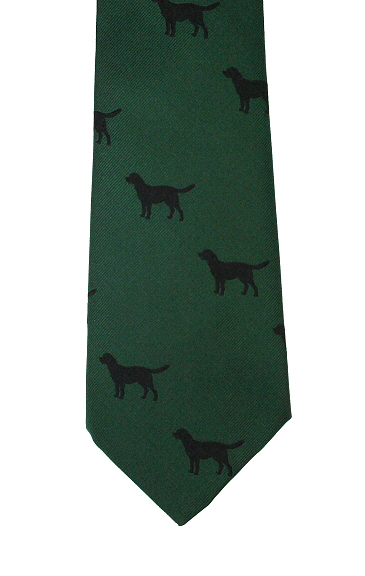 A lurcher dog tie with racing Lurchers on plain necktie. Theme available in two colours. A green motif tie with English Springer Spaniel dogs in standing pose on plain background. 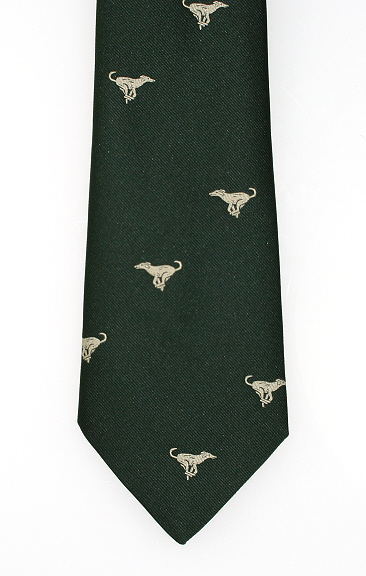 Smart tie representing this popular gundog breed. 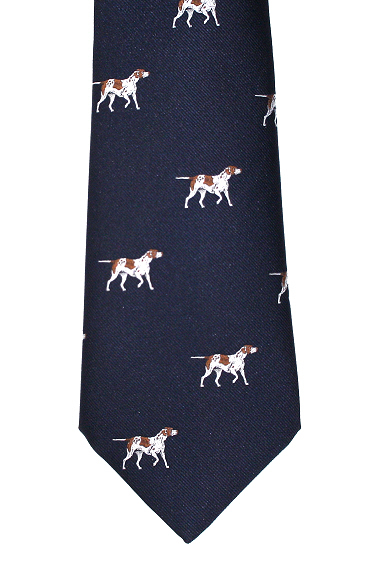 A Pointer dog tie with standing Pointers on a plain necktie. A Beagle dog tie with standing Beagles on a plain maroon neck tie. A premium quality yellow Labrador tie with fine embroidered motifs on an burgundy background which is made from pure English silk. 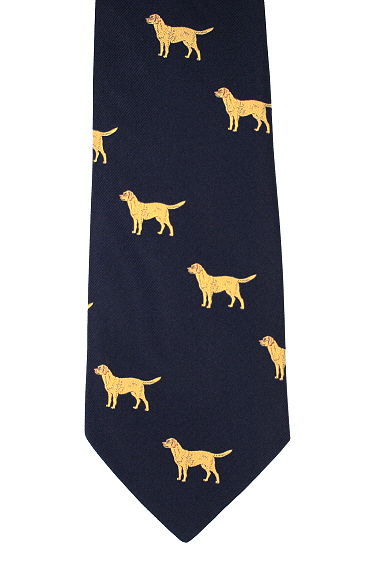 A beautiful yellow Labrador tie with embroidered motifs on an olive green background which is made from pure English silk.